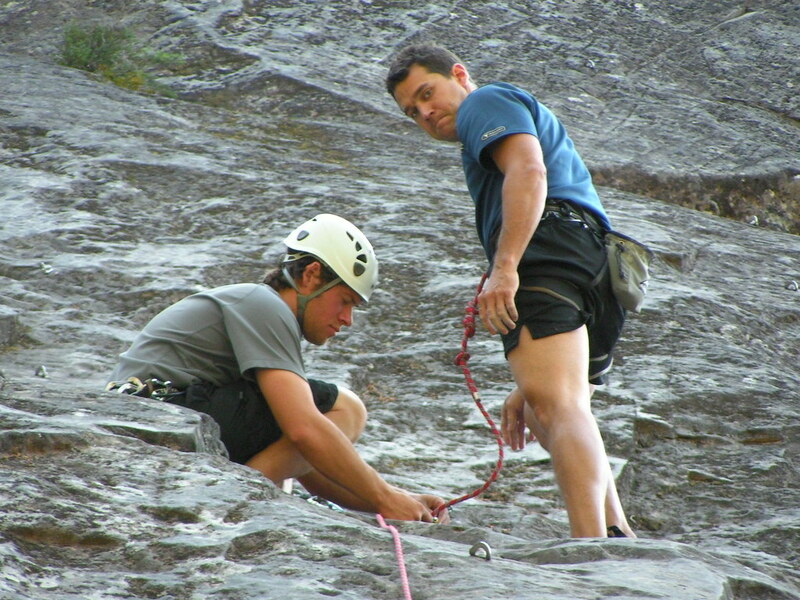 For a couple weekends now Emily and I have gone climbing with Chris and Tiffany. The first weekend we drove all the way out to Flagstone for our first time there. 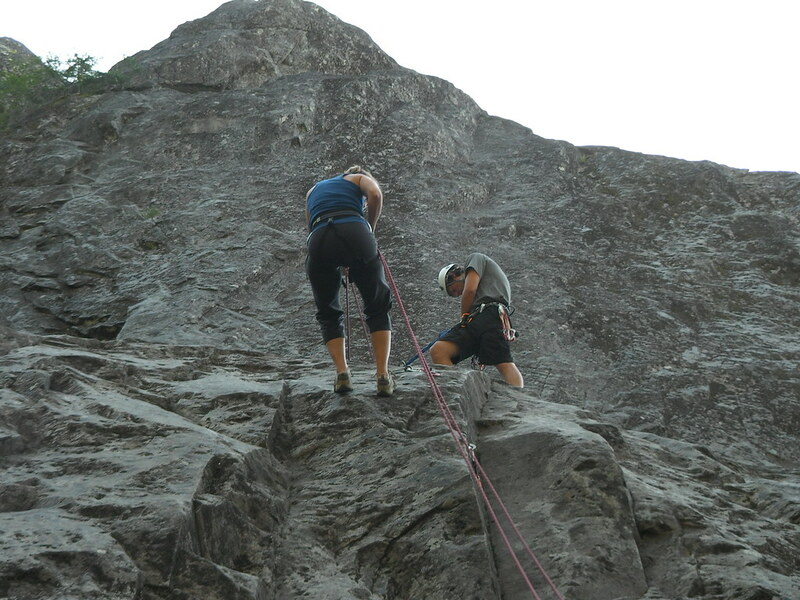 Emily didn't have any climbing shoes or a harness so she climbed in her sneakers and borrowed one of Chris'. We climbed with Tiff and Chris for several hours before heading to Eugene to go to the Steelhead Brewery in Eugene for some Dinner on the way home. Emily was fantastic at climbing even in her sneakers. Tiff's new dog Kya before Emily and I curled up in the bed of my truck under a canopy of stars. which were really amazing to watch. The pilot of the helicopter was truly an expert. It was a single pilot helicopter with two very unique blades spinning simultaneously as rotors. 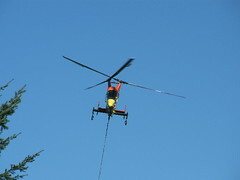 The chopper would drop down, almost as if falling out of the sky, stop, the workers would clip the dangling hook to a bunch of trees and the chopper would whisk them off to another part of the mountain for stripping and loading onto trucks. Check out the video and pictures! the right rock climbing shoes this time! I think this was probably going to be the last time Emily and I climb outside the rock gym at Dixon until next spring. The main focus in my mind now is ski season coming up!